Agriculture was once thought to be about the ancient practice of farming, but in today's world it is now regarded as cutting edge technology. Agriculture is a very broad field that seeks to help solve the world's problems in relation to hunger, health issues, and improving the quality of living, as well as increasing the quantity of food for our growing population. Do you know what it takes to get a glass of milk on your table? Do you want to abolish obesity in the developed world and malnutrition in developing countries? Do you want to figure out how food production will keep pace with the world's population growth? Or do you feel a special connection to the land and want to work with animals and plants on a regular basis? If you answered yes to any of these questions, then agriculture may just be the perfect fit for you. Students who study agriculture in the US will have a distinct advantage over students who study agriculture elsewhere. The US is a world leader in agricultural science and serves as an important role model for countries around the world seeking to address global food challenges. The United States utilizes some of the most advanced agricultural technology in the world, and students who study here have the opportunity to work with and learn from this technology. This is particularly valuable for students whose home countries suffer from hunger issues, as these students can bring what they learn in the United States back to their home countries and use it to teach alternative ways to grow crops and teach children about food consumption. Students who stay to find work in the US following graduation will also find their degree helpful, as there is a shortage of well-trained professionals in the agricultural field. Agriculture includes the study of plants, soil, animals, research labs, nutritionists and research. There are over 30 majors within the field of agriculture as well as a number of different career opportunities. An international student has the option to pursue different degrees depending on what it is they want to do, from an Associates Degree, to a Bachelors Degree, and even a Masters Degree. Undergraduate majors (those that you pursue in your Associate or Bachelor Degree programs) include agricultural business, agricultural economics, agronomy and crop science, animal sciences, equestrian studies, farm and ranch management, food science, horticulture, soil science and sustainable agriculture. Some agriculture majors do not deal with animals at all, and instead they might find themselves focused on improving the soil of a football field! With a degree in agriculture you can be a manager of a farm or ranch, a technician, consultant, scientist, animal breeder, crop production technician, farmer, health and regulatory inspector, soil conservationist, and aquaculturist, just to name a few of the careers. Students pursuing this field should also realize that it is highly likely that you'll be working outside most of the day, which in some cases can be physically demanding or hazardous. Preferred colleges are those that are considered land-grant universities. Land-grant universities are state schools that combine research, teaching and outreach — in many cases these big state schools dominate agricultural education. International students who want to study agriculture in the US will find that there are many colleges and universities that offer programs in agriculture. It's important to think about what you want to do after graduation so that you can design a curriculum that will provide you with the skills that will allow you to be competitive in your career. Farmers require a different skill set compared to horticulturalist. Hours and working conditions also vary by occupation. As a whole, most students who study agriculture should be proficient in business, science and math. Visit the Study in the USA School search to find schools that offer programs of study in Agriculture. 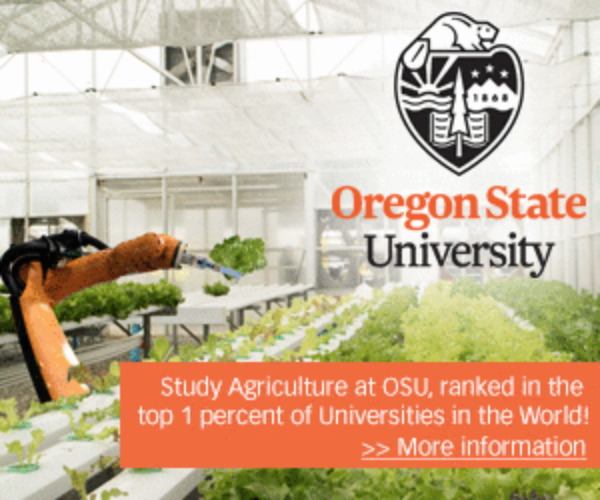 Is a Degree in Agriculture Right for You? Over time we will be updating this section and including more information for those who want to study agriculture in the USA and for other countries, but please feel free to post your thoughts and comments on our Facebook fan page, and also follow us and post questions through Twitter.